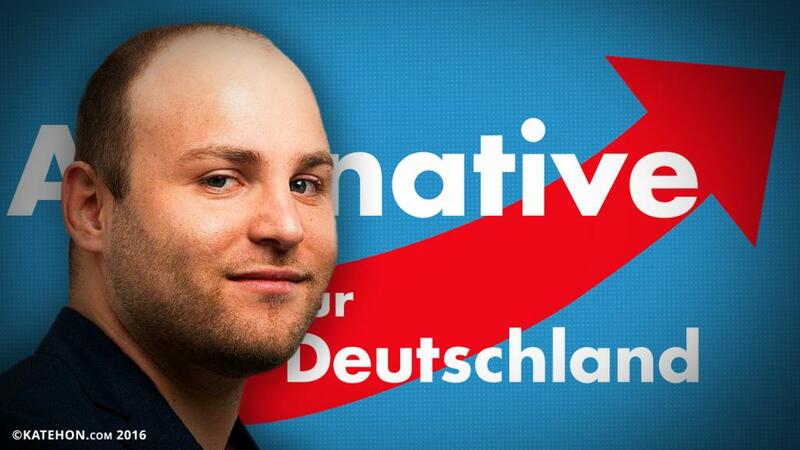 The Alternative for Germany party offers solutions to the most pressing issues of our time, such as the refugee crisis in Europe and the accompanying racial or national Identity problems provoked by Angela Merkel’s policies, especially in eastern Germany. My party has also been successful in pointing out what we think in terms of foreign policy. Germany should try to be a more sovereign nation, which is not only a supporting friend of the USA, but an equal friend to all nations, including Russia. Angela Merkel is responsible for flooding our country with millions of refugees from the Middle East and North Africa. Not only did she support Obama’s misguided foreign policy in Syria, which has caused the whole refugee crisis, but she also invited the entire world to come to Germany by opening our borders. We have seen an increasing state expenditure related to this. We have even seen numerous cases of women raped by these refugees. This unpatriotic policy against all people is provoking a reaction. My party will represent the interests of all the silent majority who do not approve of Germany being turned into Saudi Arabia. AfD has clearly declared its position: all sanctions against Russia must be lifted. The sanctions have hurt the German economy. Our industry benefits from trade with Russia and, at the same time, Germany and Russia historically have a special relationship. History teaches us that peace and mutual understanding has the best chance when people trade and do business with one another. Therefore, it is important that Germany and Russia handle their trade relationship. NATO is a relic of the Cold War. We should withdraw from it in a way that meets our national interests. To be specific, this means that NATO should not be a military alliance opposed to Russia. Russia is not our enemy. NATO should work with powers like Russia in the war against terrorism. NATO should side with Russia and the Syrian government to crush ISIS. In my opinion, the European crisis is not over. We will see how other countries will follow the British example. We may have a Dexit in the future. I think the EU is finished.